In order to promote its country’s image, Finland has designed a range of “national emojis”, or symbols to be used in digital communication, making it the first country in the world to do so. 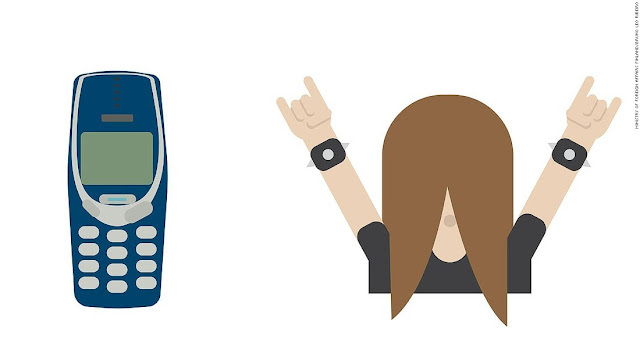 The pictures include images of naked people in saunas, the Nokia 3310 mobile phone, and headbanging heavy metal fan. The free 30 emojis can downloaded by anyone in the world. Everyday one new emoji will be released in the style of an advent calendar. These images will feature in the Christmas calendar published by the Ministry for Foreign Affairs on ThisisFINLAND. The calendar will be available online and via ThiisFINLAND social media channels beginning December 1. The general Finnish emojis will also be released, along with the 24 calendar hatches. "The Finland emojis were designed with a tongue-in-cheek approach, but I hope that they will tell the world not only about our special features but also something about our strengths", he added. These emojis feature things that you may, or perhaps should, associate with Finland. They are designed to reveal the weirdness and the strengths of the country and its people. The other emoji to be released is called "The Headbanger", which is the image of a person with arms thrusting upwards, making a rude sign with the fingers of both hands. It refers to the Finnish taste for head-banging heavy-metal music. The text beside it reads: "It is dark in Finland and so is the music. There’s a small headbanger living inside of each Finn." While another one is of a man and a woman in a sauna, which has the explanatory text: "The Sauna. Doesn’t need introducing. Sauna is as Finnish as it gets. Naked." The calendar containing these Finnish emojis will be available in 13 languages, including Japanese, Hindi, Arabic, Polish, Korean, and Turkish. “We have been anything but serious when creating these emojis. Hopefully they will open up not only our weirdness but also our strengths of which unarming honesty is one example,” hopes Theman.